The foundation of chiropractic care lies in the premise that when the spine is healthy, all other body systems are also healthy. Everything in the body is controlled by the nervous system. Nerves run from the spinal column to every single organ in the body. When the vertebrae of the spine are aligned as nature intended, nerve signals move freely throughout the body. The problem occurs when the spine becomes mis-aligned, interrupting those signals. This can happen from injury, wear and tear or as part of the normal aging process, resulting in one or more subluxations where the vertebrae have slipped out of their normal healthy position. 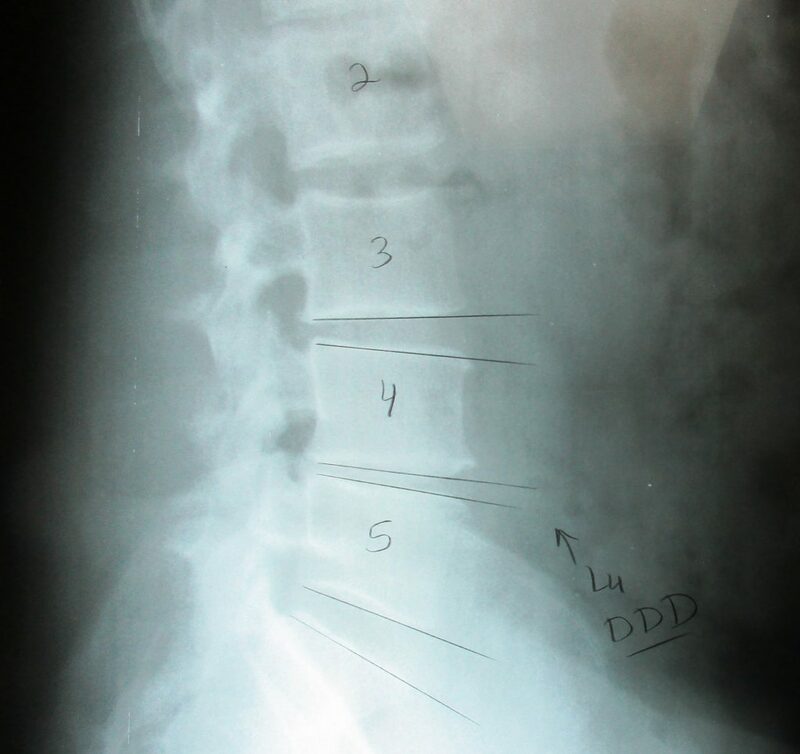 Subluxations can be seen clearly on x-rays – here is an example of a lumbar spine subluxation. See how some of the spaces between the vertebrae are even but in that one spot, the vertebrae are closer together? This is a subluxation. The space is uneven and the vertebrae are compressing the nerves, causing – you guessed it – PAIN! Low back subluxations in the lumbar or pelvic areas of the spine can cause back pain, hip pain, pain that radiates down one or both legs, even pain down to ankles and feet. Cervical subluxations in the neck area are a common cause of headaches and migraines. A chiropractor will locate subluxations and through a series of chiropractic manipulations gently ease the vertebrae back into its proper position. This can provide the patient with relief from pain and increased function. Who doesn’t want that? Call us at 502-456-1771 for an appointment today – we’ll find them and get you on the path to less pain and better health!